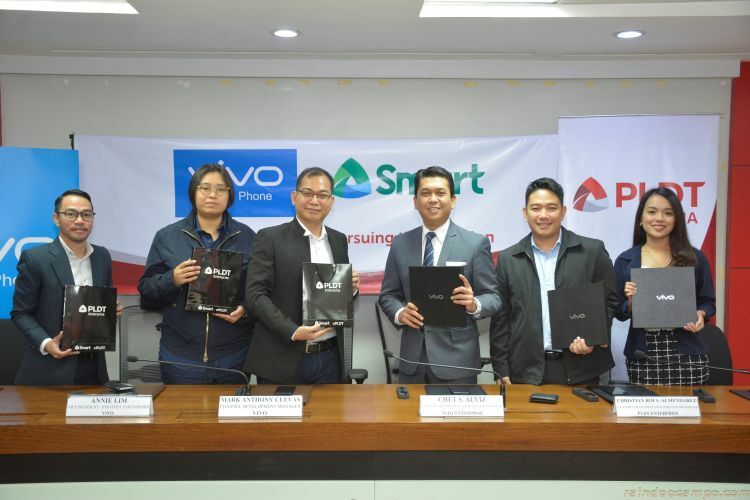 Global smartphone brand Vivo and PLDT Enterprise, the B2B arm of the country’s leading ICT and digital services provider, together with top wireless brand, Smart Communications Inc., seal a partnership for an exciting new offer: a non-stop data bundle with Vivo’s latest pride, the X21. The partnership was inked yesterday (August 16) in Makati City. Vivo executive Annie Lim, Vice President for PR Strategy and Partnerships, represented the smartphone brand. Representing PLDT Enterprise was Smart AVP & Head for Enterprise Wireless Solutions Chet Alviz. Smart will bundle the X21 with the Data On-the-Go Plan 2000, which includes unlimited calls to Smart and non-stop surf – allowing corporate clients to enjoy the X21’s high-end specifications for a low monthly amortization of 400 pesos for 24 months. The Vivo X21 makes for a perfect business companion. The Vivo X21’s 6.28″ Super AMOLED display is the ideal device for all professionals in the business and corporate world as it can aid users in various business-related functions. From attending critical business online conferences to performing business research on multiple websites, the Vivo X21 delivers the goods more than ever especially as it comes with the Smart’s non-stop surf bundle. 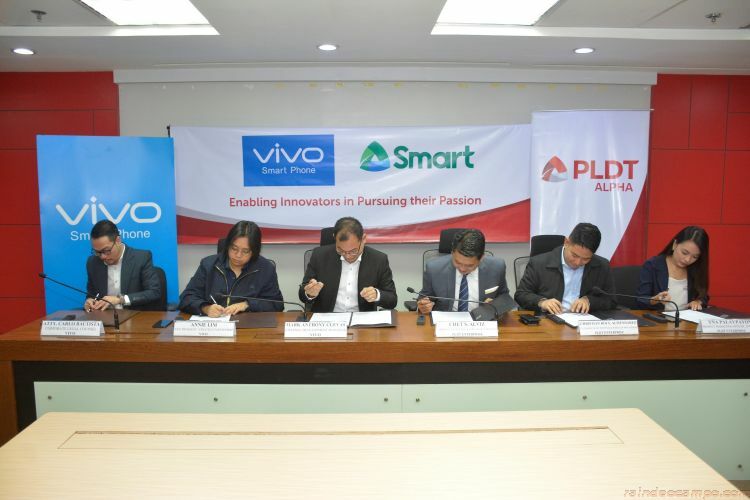 Smart is the exclusive operator partner of Vivo for this exciting X21 Project. The said offer will be available to all corporate partners of PLDT and Smart.